All around the North Atlantic there are big islands, small islands and even tiny islands. On some of the smallest islands sheep-flocks are living in more or less feral conditions. 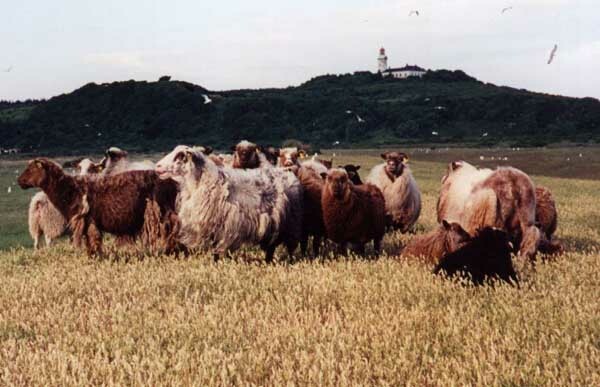 The flocks have been on there own for decades, even for centuries, and have adapted and survived by more or less natural survival, e. g. on islands as North Ronaldsay, Soya, Foula, islands along the Norwegian Westcoast and on the Danish isles of Hjelm and Hjortsholm. On the whole all flocks are of the spel-sheep race. However, in the Baltic Sea, on the island of Lilla Karlsø, lives the Gute-Sheep, a modern variant of the very old Gotland sheep race. 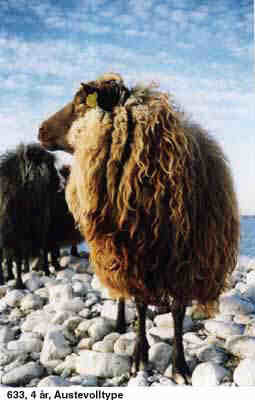 Common for all the islands have been the ability of the flocks to adapt and thus survive. On the big islands in the North Atlantic, where Iceland - and certainly Greenland - are quite obvious cases, the flocks are also of the spel-shep race, but here the flocks have survived by "unnatural selection", popular known as "breeding", where the aim has been adaptation - not for survival, but as always, for the ever changing demands of the human masters! 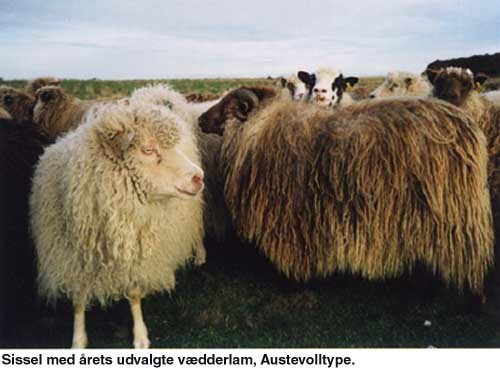 The Sheep-Isle flock is descended mainly from Austevoll (Norwegian west coast) and Setesdalen (South-west inland), (see article 2) but there are also genes from Iceland and the Faroe Islands, though only few. After half a decade on Hjelm everything seems to show that the genes from Austevoll will give the flock the best and quickest adaptation to the isle. One or two times a month, weather and wind permitting, the shepherd is on the isle. It is quite evident that each individual in the flock shows different behaviour and characteristics in one direction or another when it comes to adaptation. The total "amount of behaviour" of the single individual, and tin the flock as a whole, is quite incalculable, and the risk that the shepherd makes wrong judgements is obvious. What is going on now is some kind of "controlled natural selection"! Below, the word behaviour is often related to a positive or negative tendency, which ultimately translates to survival or disaster. Positive behaviour on the isle is so far only what the shepherd believes it should be! As a defence for the shepherd it could be stated that on the mainland, it is not easy to get help on questions related to behaviour. An isolated example could be each single individual’s faculty to drop the fleece in summer time. On this "family photo" of the flock in mid-summer it is evident that some are better to do it than others. Approx. 1/3 of the flock drops the fleece in more or less big flakes, 1/3 partly does it and 1/3 does not do it at all. The last third is not able to survive without some kind of intervention. Some persistent breeders have certainly been busy redesigning the wool characteristics of the sheep in order to adapt it to the changing demands of the human beings. From this it appears - and as it will appear too in articles later on – that one can hardly "improve" domestic animals, without loosing characteristics elsewhere. This was a relatively simple example and it has a low position "on the check-list", compared with vital characteristics, such as behaviour related to the pre-lambing, lambing and after the lambing period. The flock has an excellent early warning system called Larus Marinus. No body gets close without signing in! 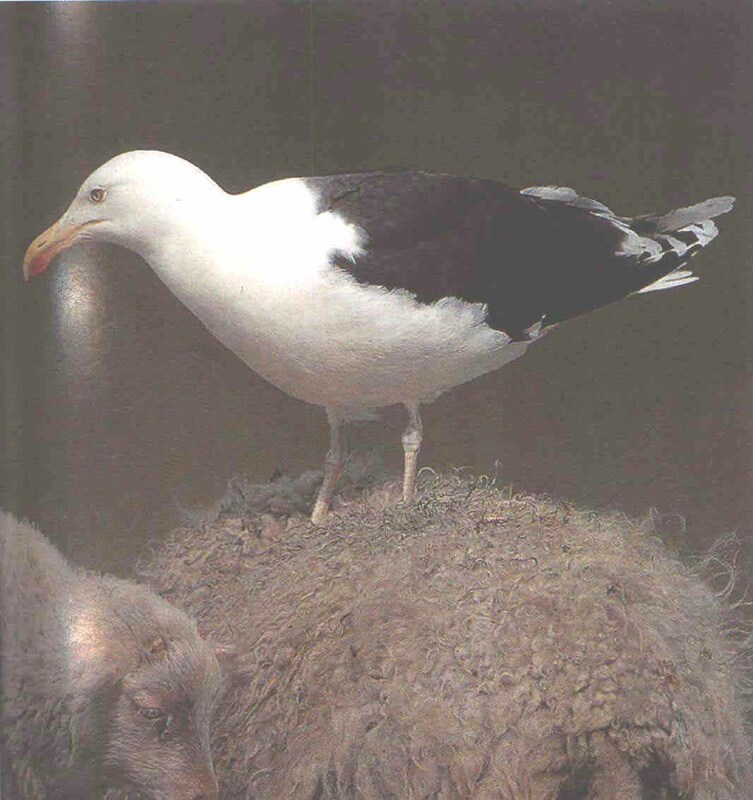 The greater black-backed gull is on the wings from sunrise to sunset. Its hoarse warning scream is immediately registered by a couple of ewes always on the sharp lookout. However, on this photo Marinus has landed on the back of a ewe with her lamb as witness. The photo is a basic lesson on behaviour, and tells much better than a lot of words about predatory behaviour. The photo has been shot by the British bird photographer Gordon Langsbury. 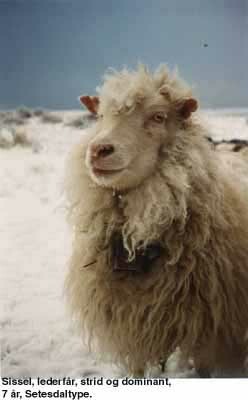 It is from the Shetlands and according to Gordon not an unusual sight. Perhaps the ewe, which by the way is of the spel-sheep type, is a very intelligent sheep, realising that just now everything is OK – but a month or two earlier the same ewe would certainly have played a very unintelligent role by this passive behaviour, indeed giving Marinus a delicious opportunity! On the stage we now have two actors, while the third, Homo Sapiens is still waiting in the wings. But that is untypical as it is usually Sapiens who takes over the whole stage leaving fauna and domestic animals to play subordinated parts. When Sapiens, disguished as a shepherd, visits the flock during the breeding season, it often happens that an eider is rushed off her eggs without having time to cover them – and again a delicious menu is served for Marinus. The different situations of conflicts on a tiny isle in the sea of Kattegat is very similar to the heavy conflicts in Norway between domestic animals, predators and people. Usually it is difficult to estimate which behaviour is unambiguous the right one after only half a decade. At least half a century with natural selection is necessary, which is more than even the most patient shepherd can accept! The next article will be about behaviour around lambing, the most important period in the life of the flock, but it can already be stated that it will be an article with more questions than answers. However, as earlier mentioned the flock is descended mainly from Austevoll, and that gives a good indication on behaviour. Here the environment is considerably more harsh than on Hjelm. Food is more sparse, and the weather generally rainy and stormy in the winter period. Marinus has to share the skies with the golden eagle, and on the ground even foxes are roaming. 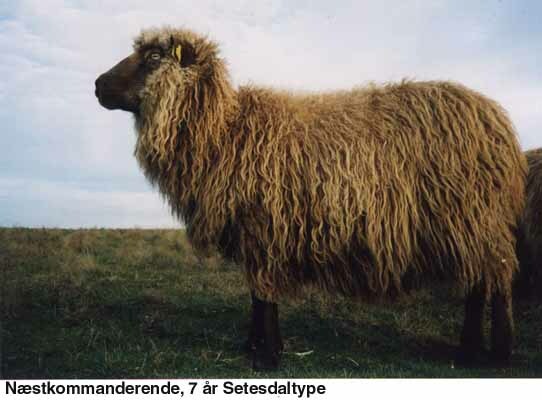 The feral sheep (gammelnorsk sau) has over the centuries got used to a high stress level which has caused a strong natural selection in the population. The flock on Hjelm is well acquainted with their ancestor’s brilliant behaviour as the shepherd likes to lecture on it at very given opportunity! In all circumstances the close related feral sheep in Austevoll is an excellent model to aim at, not just with regard to behaviour but also regarding profitability. In an article later this year, Lars Erling Horgen, Norsk Villsaulag, (the Nowegian feral sheep association, ) will examine it more closely.